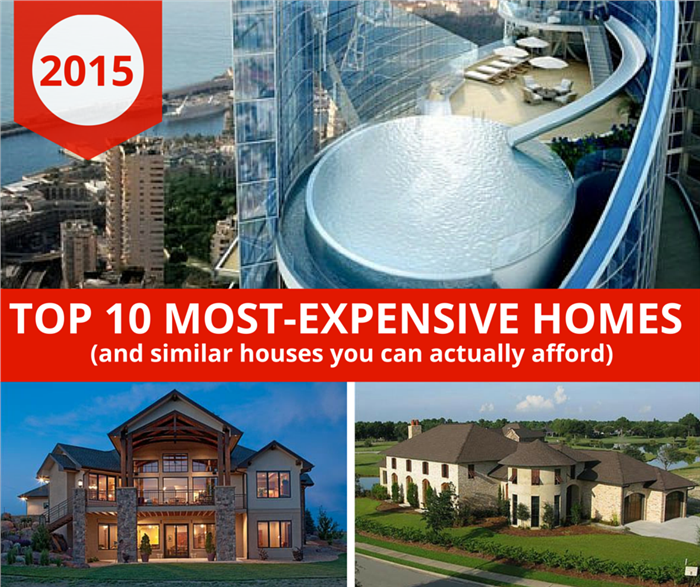 Enjoy Our Annual List of the World’s Priciest Homes (And Similar House Plans You Can Afford)! 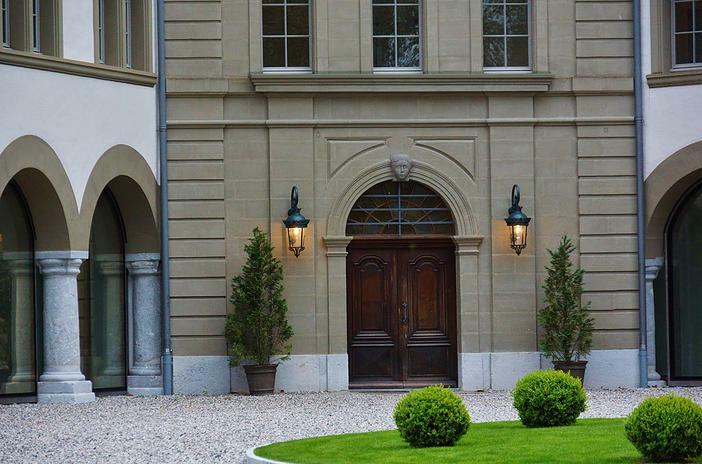 For the fabulously ultra-rich who own magnificent homes all over the world, it’s time once again to assess which property is ready for the real estate market. Sit tight as we take you on a dizzying ride of breathtaking homes with price tags that will send shock waves through your system. But don’t worry! 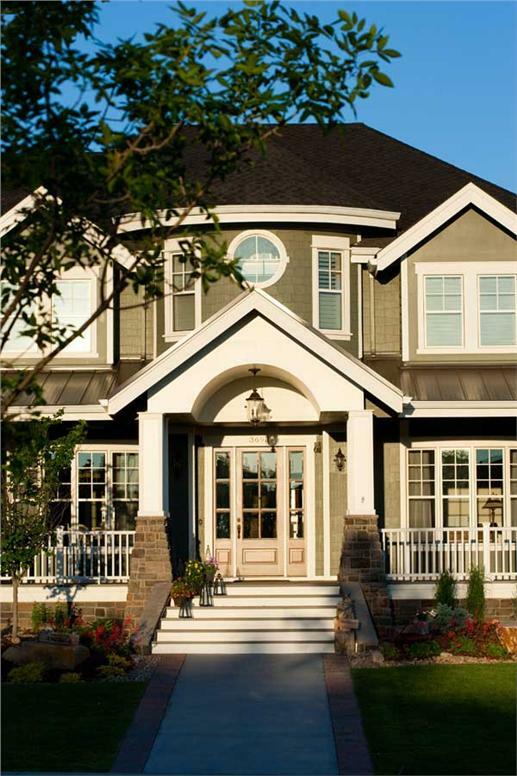 We have suggestions for similar luxury house plans from The Plan Collection – that you can afford! It’s no surprise that the most expensive property on the 2015 real estate market is located in Monaco, the playground of the super rich and famous. At $400 million, the Sky Penthouse – a five-story complex atop the Tour Odeon, Monaco’s tallest skyscraper, is luxury at its most extreme. With 38,000 square feet, the Sky Penthouse comes with five bedrooms, private decks, a living room, dining room, a kitchen on every floor, and three bedrooms for staff. And there’s more – a private theater, disco, sauna, personal caterer, a private chauffeur, and 24-hour concierge service. Its most amazing feature is a water slide that goes down from the balcony into the infinity pool. 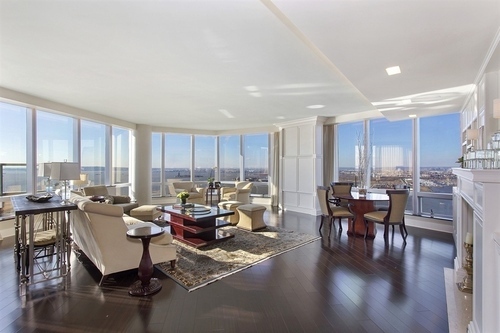 The Tour Odeon features the world’s most expensive apartment – the five-story Sky Penthouse. 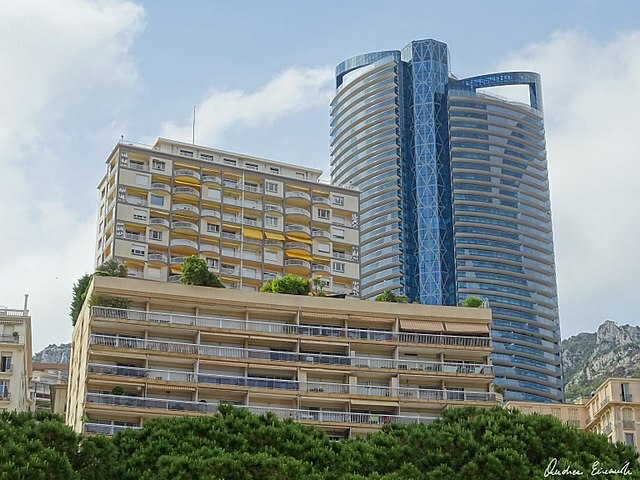 The building has a panoramic view of the Mediterranean coastline highlighting the Sky Penthouse and the city of Monaco (photo credit: Tour Odeon by Einaz80 under license CC BY-SA 4.0). You don’t have to live in a towering skyscraper to appreciate the pleasures of a luxurious home. 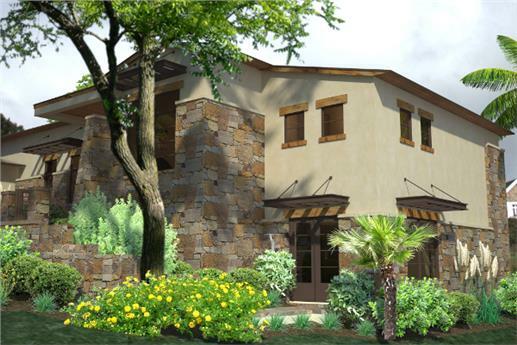 This two-story, five-bedroom home plan in the Mediterranean style with six full baths and lots of indoor and outdoor amenities will make you forget the Sky Penthouse. Top: Spread over more than 6,000 sq. ft. of space, this home has a beautiful courtyard, stone steps, and a veranda with a large front door that are inviting sights for everyone. Bottom: What a great way to connect the indoors and outdoors: sliding doors in the family and living rooms open to the lovely pool area and rear patio where guests and family can relax (Plan #175-1073). Walk into this home and find a living room with a fireplace, family room with a second fireplace, dining room, kitchen equipped with a peninsula/eating bar, kitchen island, breakfast nook, and study. 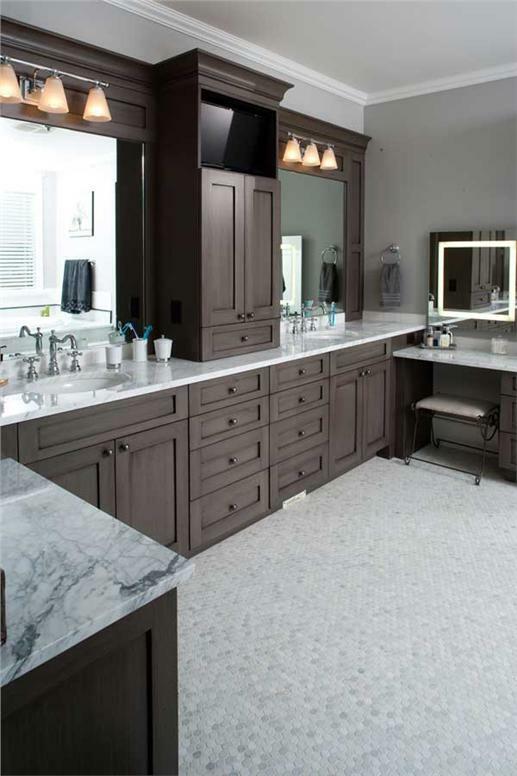 The master suite includes a sitting area and a master bath with an over-size tub, his and her water closets, and two large walk-in closets. Top: Sit on the sofa, and take in a view of the pool area and the rest of the grounds. Bottom: This master suite comes with a good-size sitting room and tall glass windows – from where you can look out and see all the trees and shrubs (Plan #175-1073). Perhaps the priciest property in the Hamptons is the magnificent estate of entrepreneur Chris Whittle. Built in the shingle style of architecture in 1931 – and updated in 1990 – Briar Patch is listed on the National Register of Historic Places. 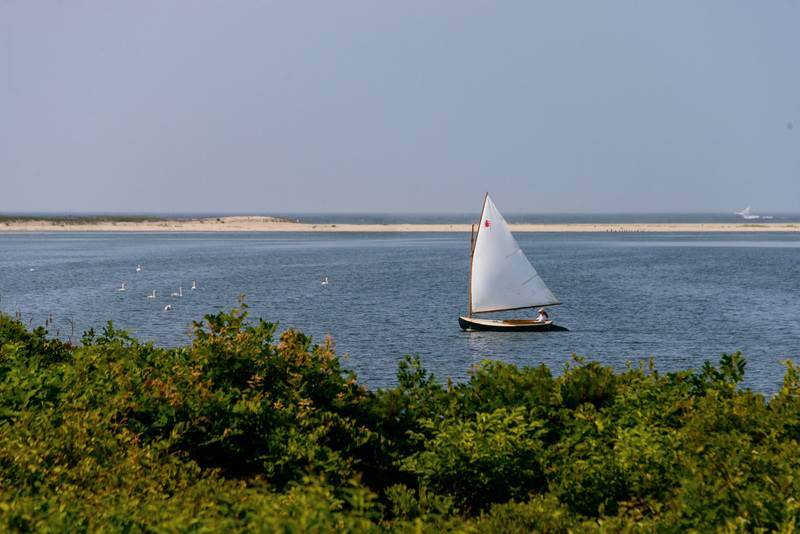 On over 11 acres of waterfront property, Briar Patch has stunning views of Georgica Pond and the Atlantic Ocean in the distance. 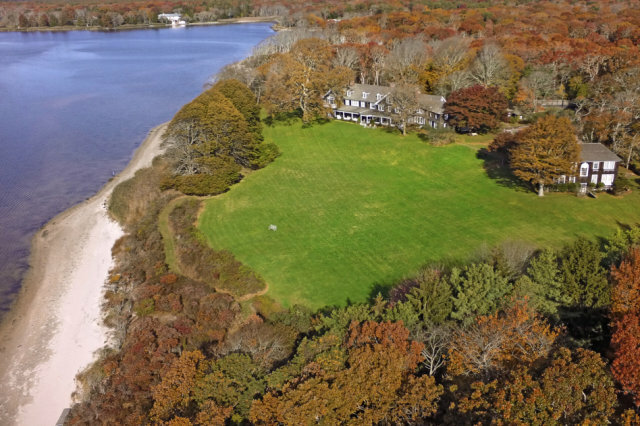 An aerial view of Briar Patch (left) shows off the beautiful property, with its waterfront views, tall trees, lawns, and woodlands that surround the estate. The mansion is the original 10,000-square-foot, Georgian Revival-shingle style home. Inside the estate, the classic six-bedroom home with Georgian Revival influences now includes a three-story great room, chef’s kitchen, and four fireplaces. There is also a four-bedroom guesthouse with its own entrance, four-car garage, secluded tennis court, swimming pool, changing cabana, hot tub, and gym. 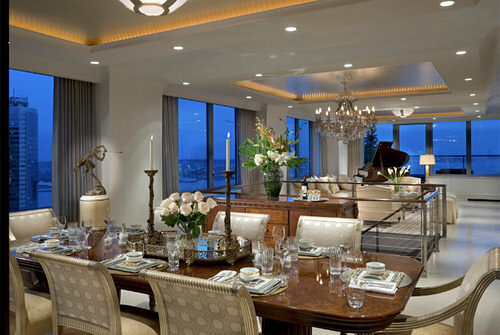 At $140 million, Briar Patch is a bargain – compared with the Tour Odeon Sky Penthouse. 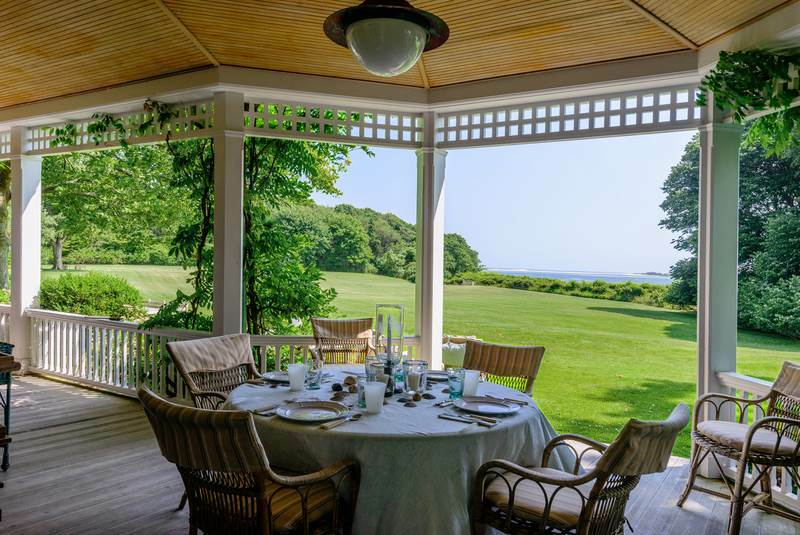 From one of the porches on the estate (left), one can take pleasure in leisurely meals and watch sailboats on the pond (right). You don’t have to live in the Hamptons to find summertime, luxury living. Take this Shingle-and-Craftsman-style-inspired home with six bedrooms and plenty of space for entertaining. Featured in HGTV’s Front Door, this remarkable luxury home features a Craftsman, Shingle-style exterior that is complemented by a graceful yet contemporary interior floor plan (Plan #161-1044). Ideal for today's family, the rooms are spacious and well-laid out. The first floor is designed with traditional rooms for entertaining – including a parlor and formal dining room – as well as an open floor plan for the great room/family room, kitchen, and casual dining area. With a very comfortable feel, this home successfully combines the best of traditional design and modern living (Plan #161-1044). 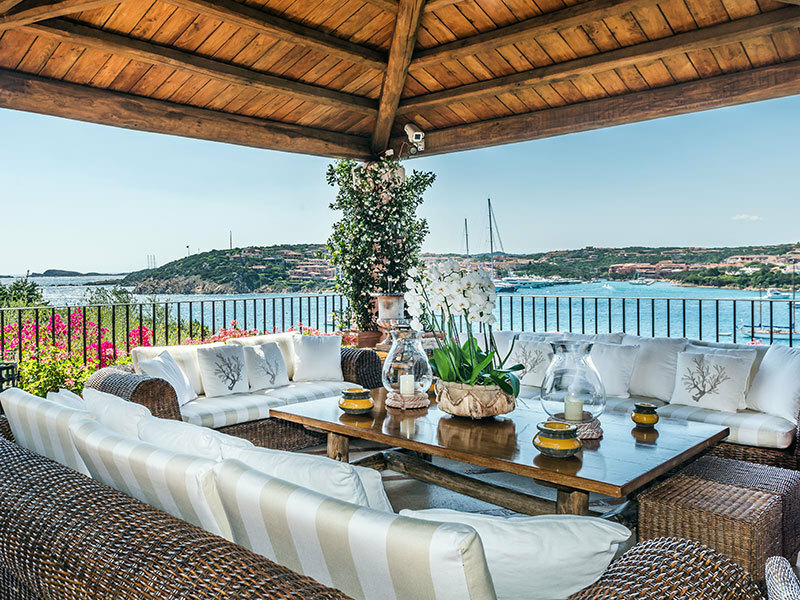 Hidden by the lush landscape that surrounds it, Villa il Forte is a spectacular waterfront estate in Porto Cervo on the Italian island of Sardinia. 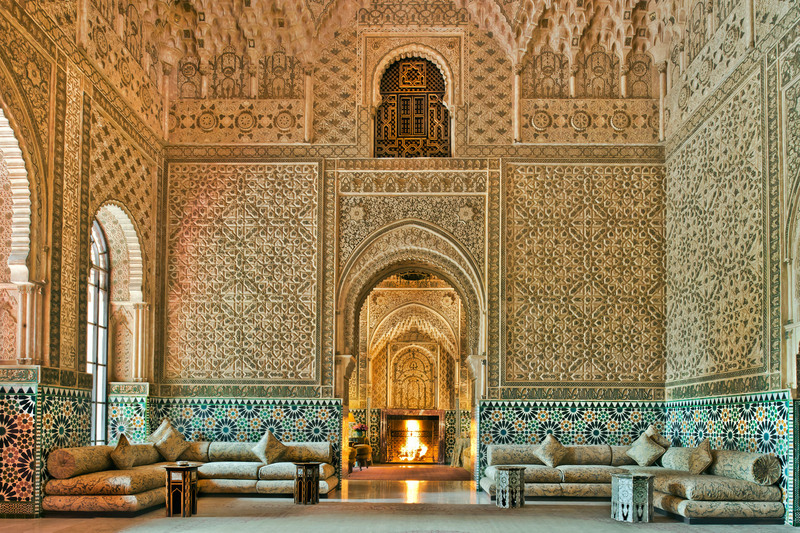 Built in 1965 by Prince Karim Aga Khan, the complex features a three-story main house with eight bedrooms, gourmet kitchen, swimming pool, tennis court, private beach and deck, and living quarters for five staff members. 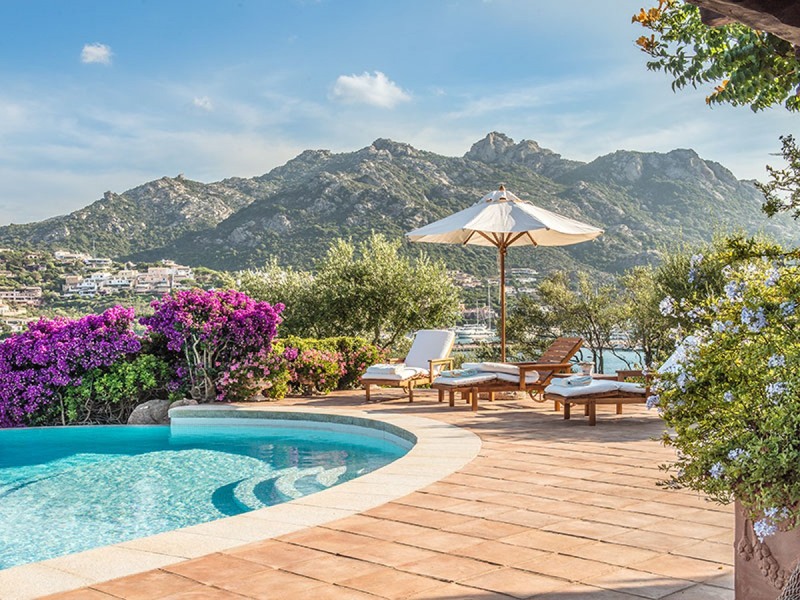 Walk down the stone steps from Villa il Forte's main house to the heated pool area, and be greeted with stunning views of the bay and the mountains. 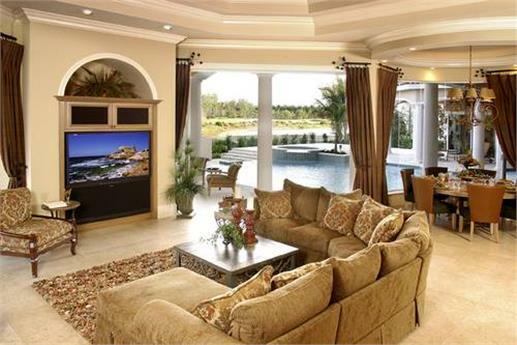 Even the formal living room has touches of comfortable relaxation (left). Champagne, anyone? Imagine yourself sitting on the luxurious deck (right), slowly sipping your drink as you look at the boats and watch day turn into night (photo below). 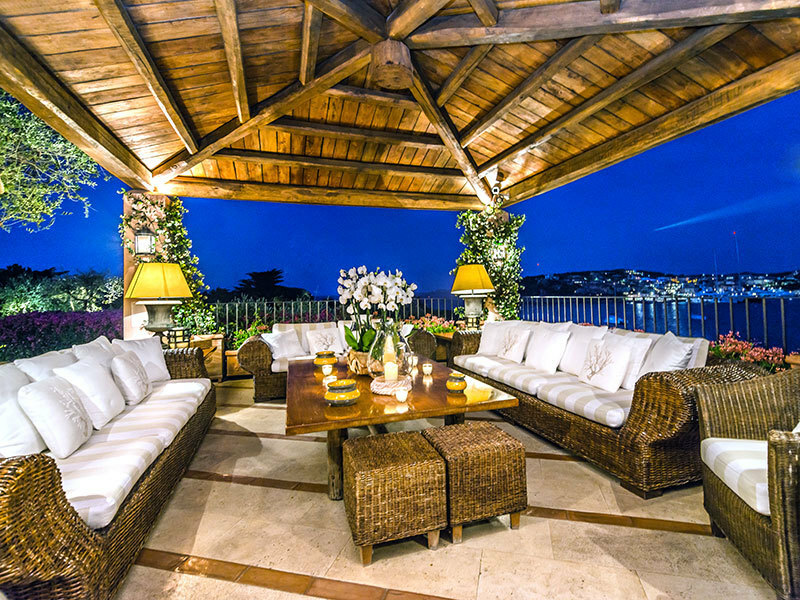 Everything that the wondrous Villa il Forte can offer – and more – can be yours for $131.5 million! Not even close to your budget? How about this two-story contemporary home plan with three bedrooms and 3,638 square feet – and designed with coastal living in mind? 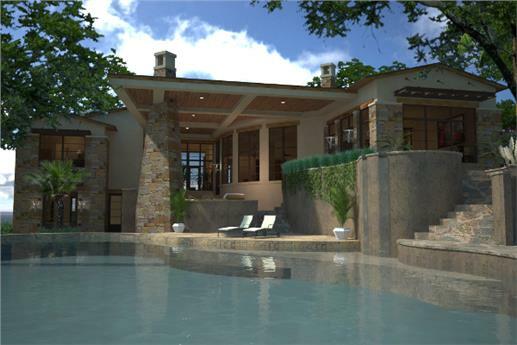 Designed to complement its surroundings, this contemporary house design is pefect for empty nesters or as a vacation home (Plan #117-197). 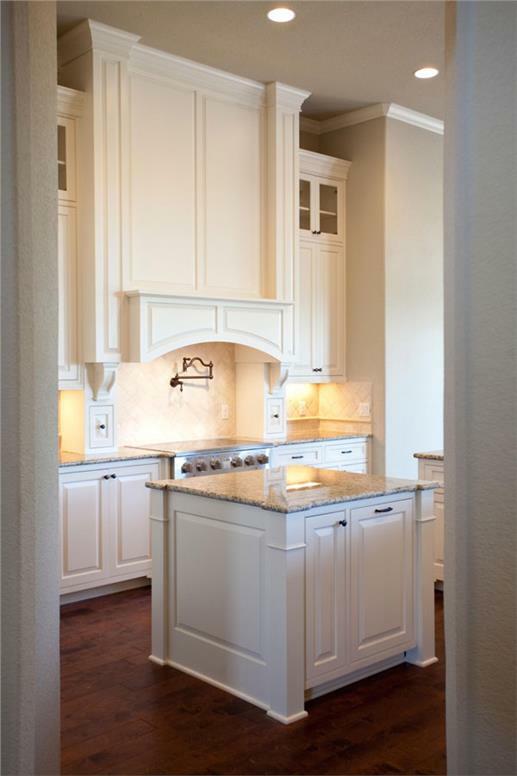 The interior floor plan of the home is centered around the kitchen and family areas. While the master bedroom suite is separated from the other two bedrooms. Virtually every room in the house is situated to take advantage of the lanai and swimming pool. 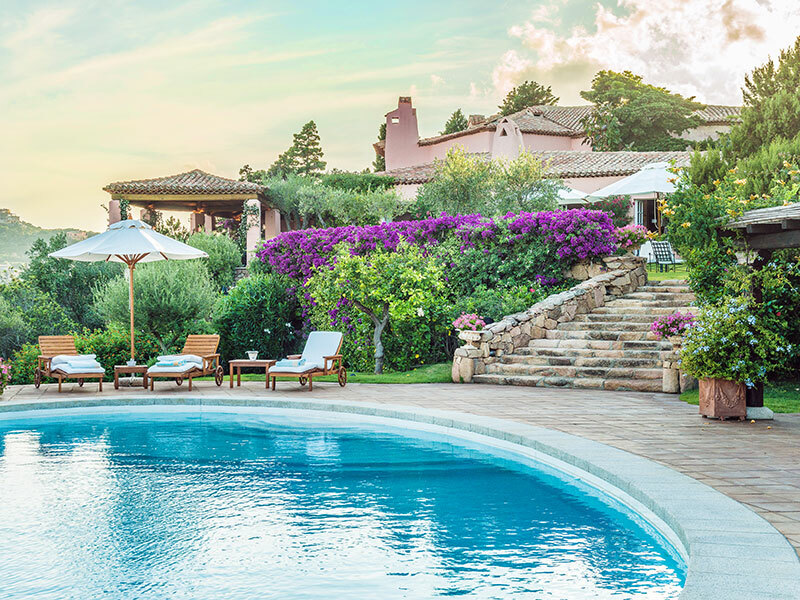 With a home like this, why think of the Villa il Forte! Spend all day relaxing in the pool (left) or reading a book under the shade of the lanai at right (Plan #117-197). 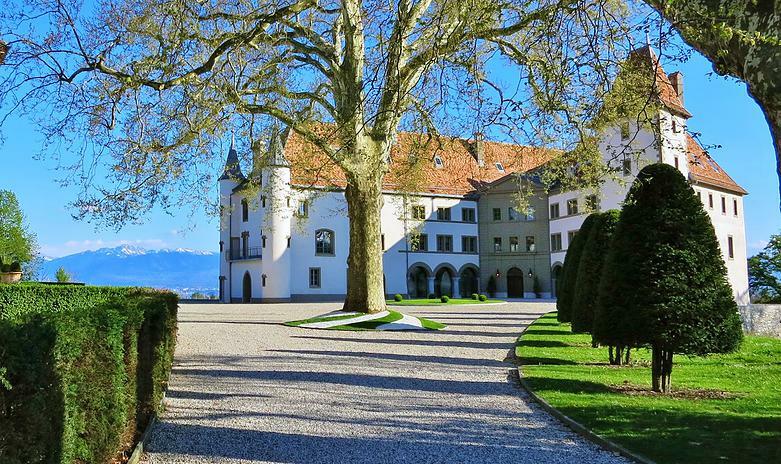 The Allaman Castle, or Chateau d’ Allaman, is one of the largest private properties in Switzerland. 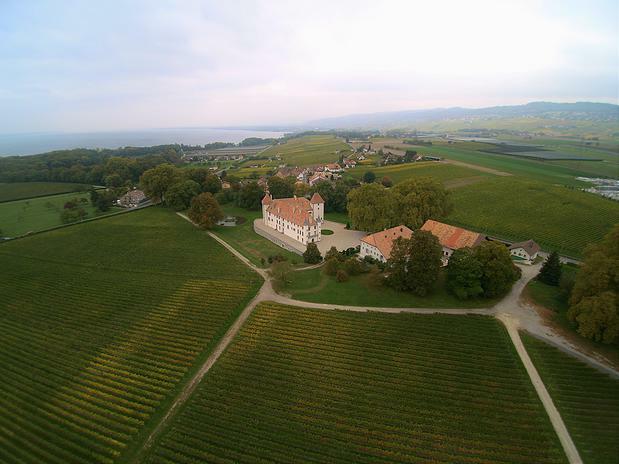 Located just outside Geneva, it was built in the 13th century by a French count. The estate covers 82 acres and 65,000 square feet of living space, and is surrounded by private forests, parks, gardens, and vineyards. Through the centuries, the $131.5 million castle has hosted royals, artists, composers – among them Franz Liszt – prime ministers, and heads of states. For the past seven years, the Swiss family who owns the castle has meticulously restored the 60-room, Chateau d’Allaman to its former glory. You won’t see Harry Potter and company roaming the hallways and forests of this castle in Switzerland. Royal visitors and diplomats are the guests more likely to stay and be entertained in this real-life castle outside Geneva. As far as entrances go (left), this door to the castle is not as imposing. But the details and workmanship are classically simple and eye-catching. 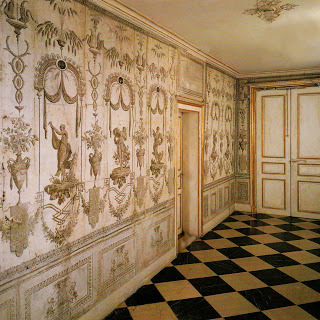 On the right is the restored wallpaper collection at the castle. 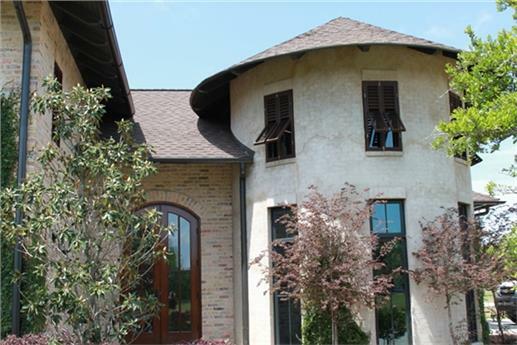 Not exactly a Swiss castle, but with more than 3,100 square feet of living space, this home in the French Country architectural style with four bedrooms and three-and-a-half bathrooms will certainly remind you of Old World craftsmanship. 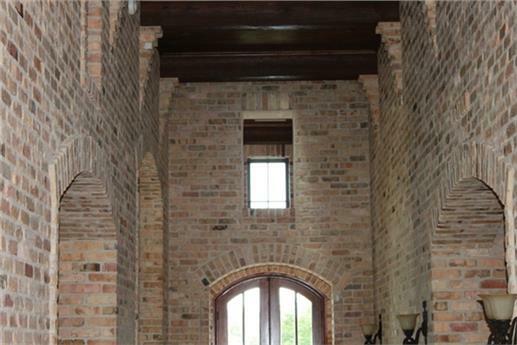 A paved driveway leads to the front entrance – which opens into a foyer and the great room. 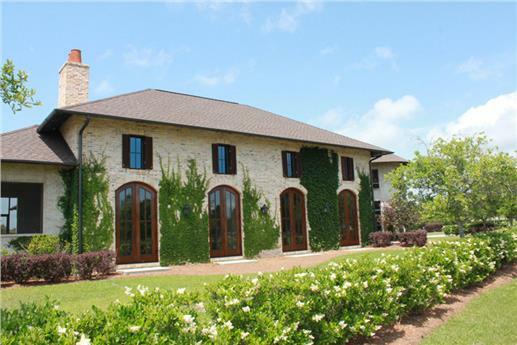 This four-bedroom French Country-style home features arched windows and entryways, a hip roof, and exquiste exterior brick and stone details (Plan #153-1990). This European manor-style house plan also comes with two fireplaces, a main level master suite with walk-in closets and a master bath, dining room, game room, media room, kids’ nook, and first-floor laundry. Its spacious modern kitchen is equipped with a kitchen island, nook/breakfast area, peninsula/eating bar, and walk-in pantry. 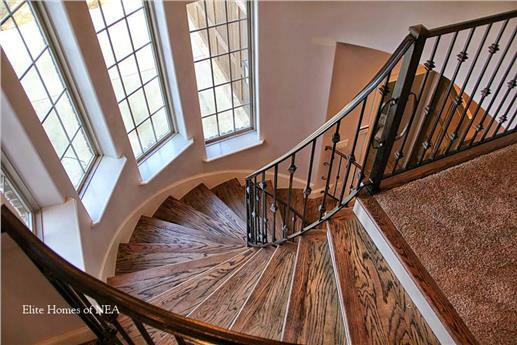 A view of the circular staircase (left) from the second floor shows the fine finish of the hardwood steps and tiles on the landing. Also note the work on the stair railing. 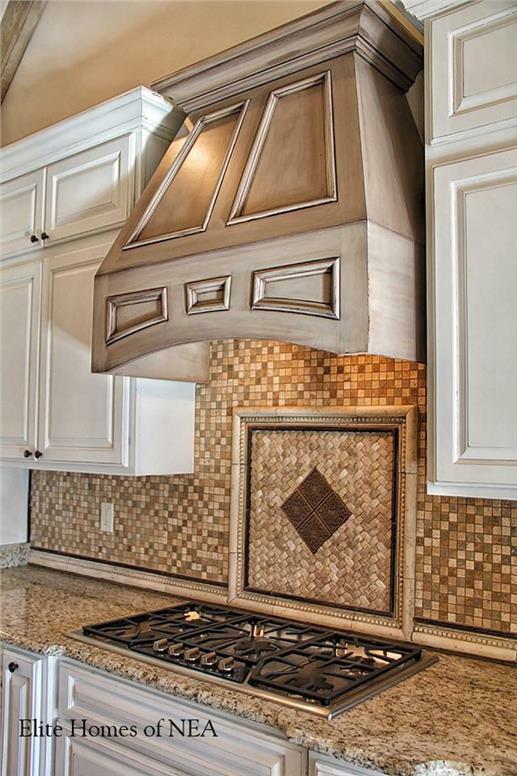 In the kitchen (right), no detail has been spared – even the stone and tile work behind the stovetop (Plan #153-1990). Love bright lights and harbor views? Then, you can acquire New York City’s priciest real estate listing for $118.5 million. 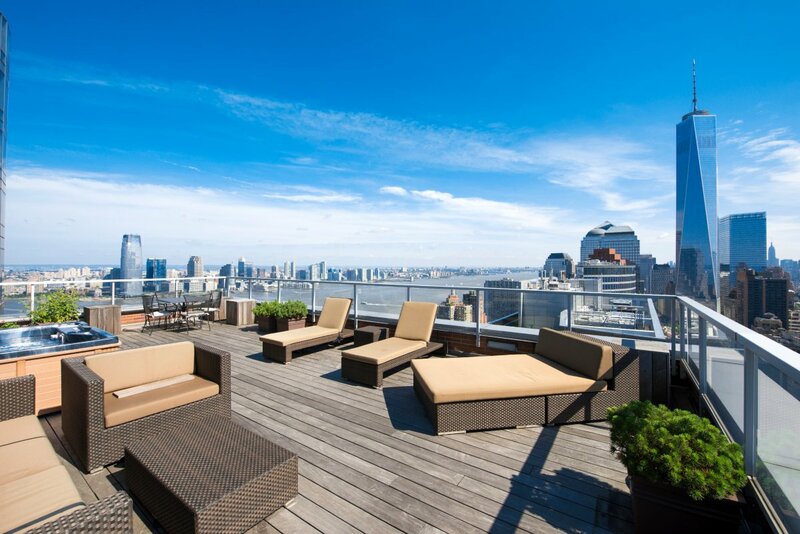 Perched atop the Ritz-Carlton Hotel in Battery Park, three penthouse apartments on the entire top two floors - with spectacular views of the Statue of Liberty and the new World Trade Center- are selling as one unit – even the wealthiest of buyers prefer open floor plans! 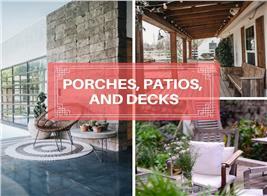 Combined, the units create more than 15,400 square feet of interior space and about 2,000 square feet of terrace space. All that space would include 12 bedrooms, 15 bathrooms, and three kitchens. There is also an outside Jacuzzi that faces the Freedom Tower and the Empire State Building. So, if “big city” living is to your liking, then there’s no better place than this prime property in New York City! 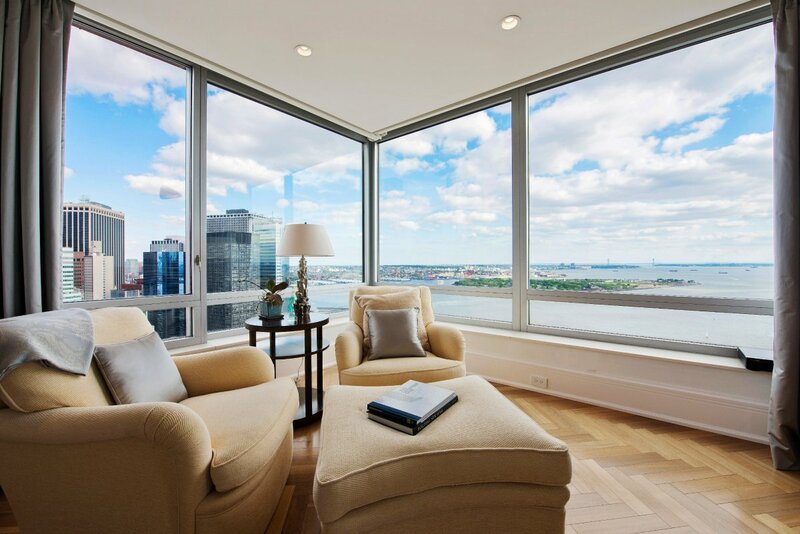 The open layout of the Ritz Carlton penthouse in Battery Park allows smooth access from one room to the other … or from one unit to another. What’s there not to love about this (left) modern living room? 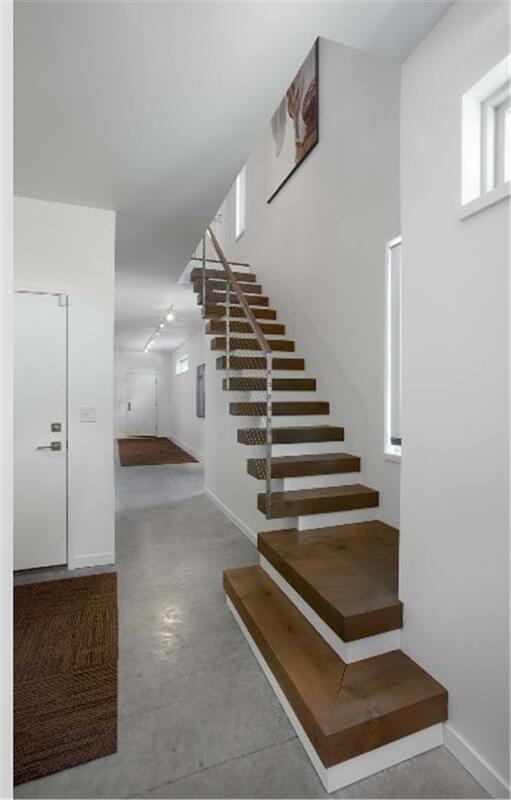 Stairs located between the dining and living areas (right) blend seamlessly with the floor plan. Can’t wait to read that book and escape to a quiet place? There’s that sofa inside the penthouse (left) where you can sit back and put your feet up … or out on the terrace (right) with the sun and the soft breeze bring you closer to nature. Manhattan lifestyle not for you? But you’re a bit too restless for the country? 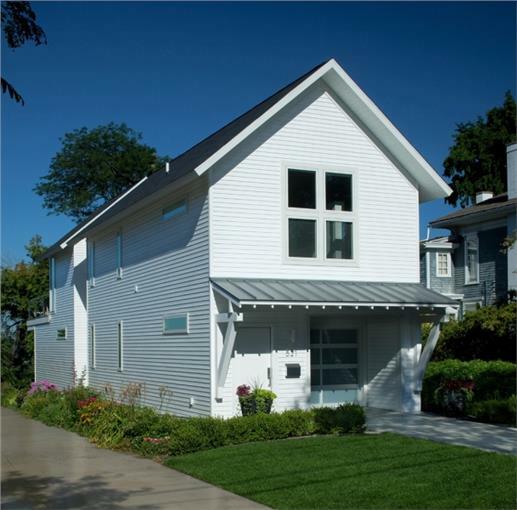 Then this modern narrow-lot home (Plan #168-1102) might be what you are looking for. Ideal for an urban or dense suburban neighborhood, narrow-lot house plans like this well-designed 3-bedroom, 2,024 square foot modern home plan really punch above their weight! This 3-bedroom, 2-bath home is ideal for a narrow lot in an urban or dense suburban neighborhood. Clean lines and smart design create the sense of a much larger space than its 2,014 square feet of living space would suggest (Plan #168-1102). From the front door, you are gracefully invited to follow the stairs up to the second floor – which acts as the main floor of the home. With its open floor plan design, a spacious yet comfortable space is created that includes the living, kitchen, and dining areas. Along the rear of the home, a wall of windows opens out onto a deck – offering privacy and spectacular views. 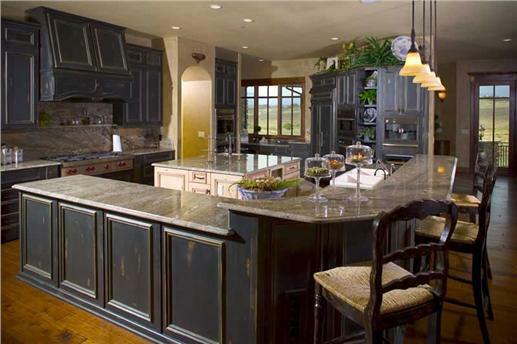 Food, culture, and entertainment (left) are only a stone’s throw away; or spend the evening at home cooking dinner in this chef’s kitchen at right (Plan #168-1102). 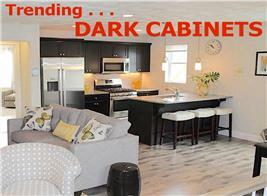 Do you want a getaway home that offers privacy but not seclusion? The 26-acre island of Pumpkin Key in the Florida Keys is a mere 10-minute helicopter ride to South Beach in Miami. It comes with an unpretentious three-bedroom single-family residence, a boat captain’s apartment, an office, tennis courts, cottages for caretakers, several bayfront lots, a 20-slip marina, and a private beach area. For the $110 million price tag, prospective buyers are really paying for the privacy and beauty of the lush and vibrant landscape that surrounds the island. 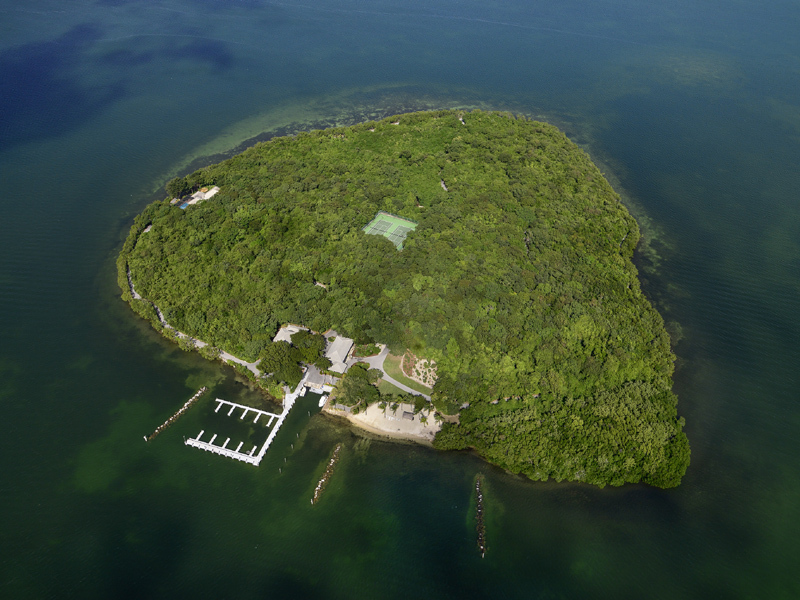 An aerial view of Pumpkin Key (left) captures the island’s lush landscape and the peaceful waters that surround it. 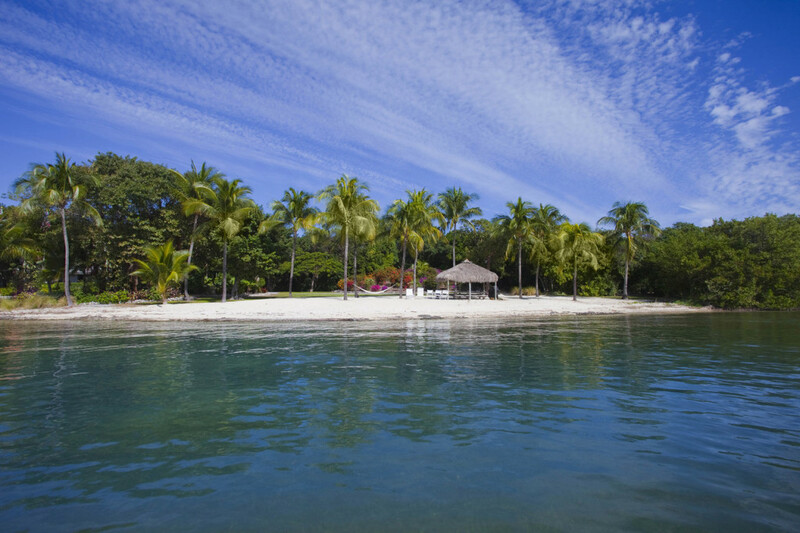 Once there, kick back on its private beach to relax and unwind. While having your own island may just be a pipe dream, you can build your own paradise without breaking the bank with this home in the Modern style. 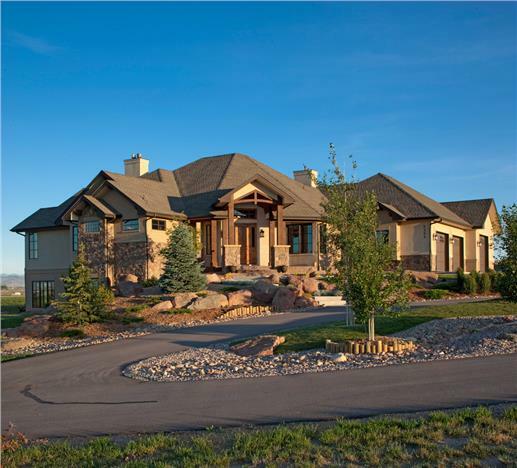 At 2,652 square feet, this home (Plan #116-1081) creates its own privacy with its U-shape floor plan. The main rooms face inward with large windows on all sides facing the interior “courtyard.” In the center, there is a spectacular swimming pool. 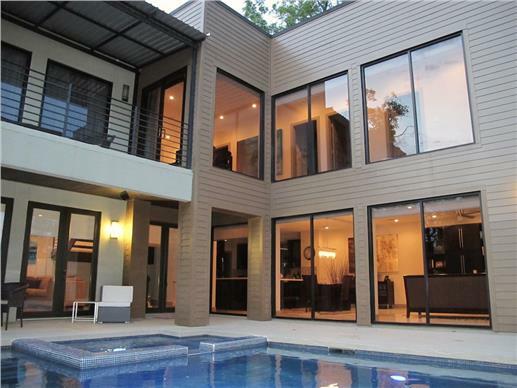 This Modern-style house (Plan #116-1081) creates a luxurious home at a far more affordable price. 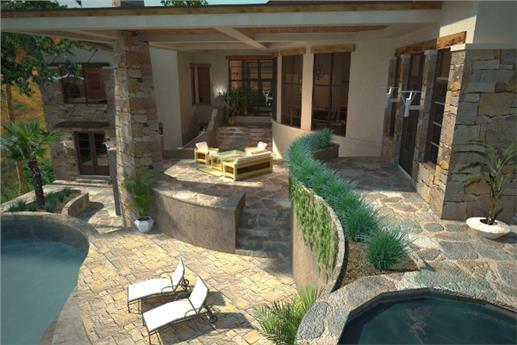 As shown in the first floor’s plan, the home’s U-shape structure effectively surrounds the pool. With four bedrooms and 2½ bathrooms, this home plan offers plenty of space for family or guests. The first floor is most notable for its very open floor plan – ideal for entertaining and maximizing the sense of space. The open-concept kitchen has plenty of space for family and guests with its L-shape peninsula; a terrace above the garage creates yet another space for relaxation with an added sense of privacy (Plan #116-1081). Another big city and another mega-expensive residence. 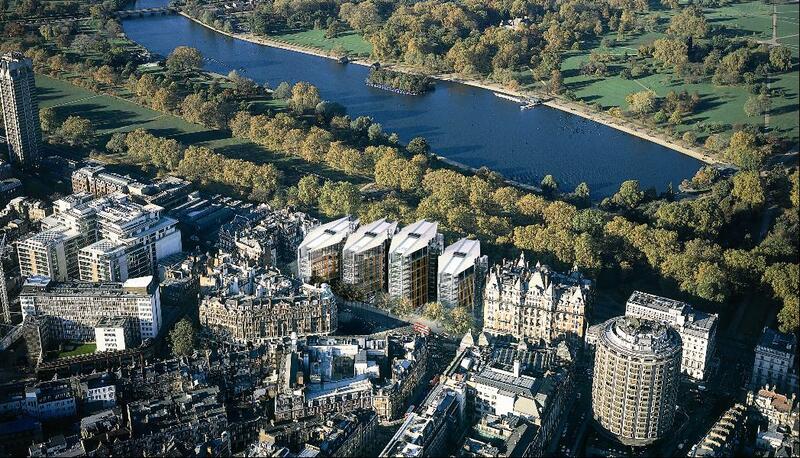 One Hyde Park is the current “in” address in London’s Knightsbridge neighborhood. For some of the world’s rich and famous, the new residences at the Mandarin Hotel in the English capital are the essence of luxury, comfort, and convenience. The price tag of the eighth-floor residence, with its 8,500 square feet of space spread over five bedrooms, social areas, and balconies, is $107.8 million. 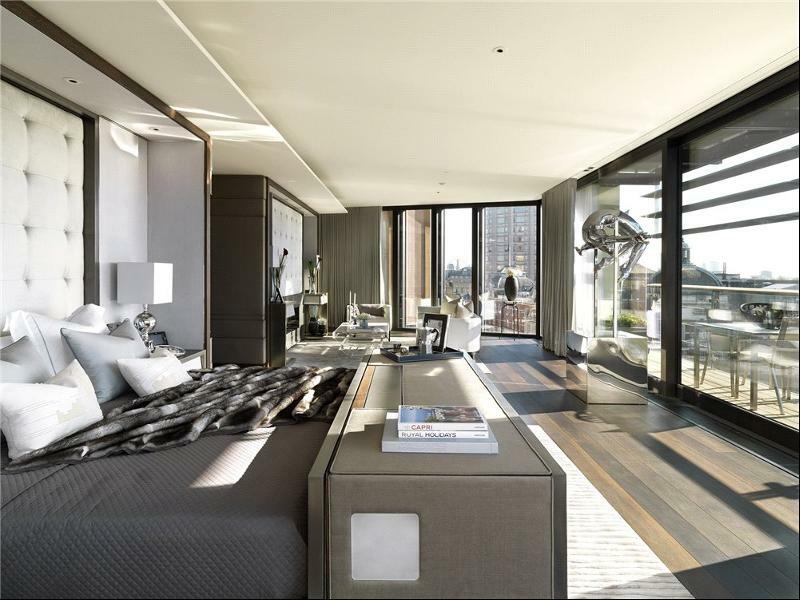 The master bedroom of this residence (left) at One Hyde Park is bathed in natural light. Its glass windows slide open to the terrace where residents of this apartment can take in the view of Hyde Park below (right). Call us “traditionalists,” but when we think of a place to call home in England, we imagine Cottage house plans – and think this Cottage-style home plan with Craftsman details to be just about perfect. 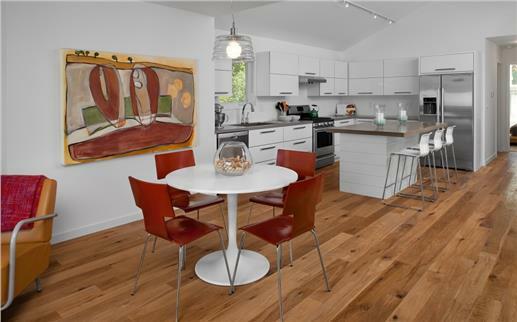 Originally featured in The Wall Street Journal, this home (Plan #117-1103) boasts a remarkably spacious and well-designed floor plan. 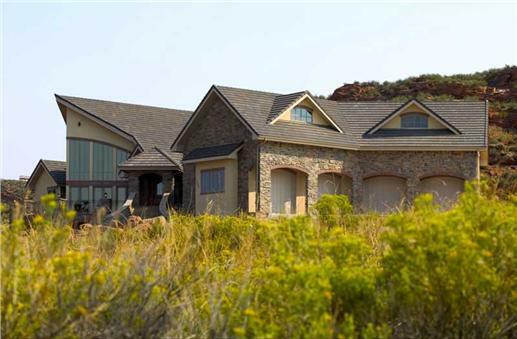 Within its 2,847 square feet are three bedrooms and three baths. But what really makes it special is its open floor plan design with the family room and kitchen as the heart of the home. 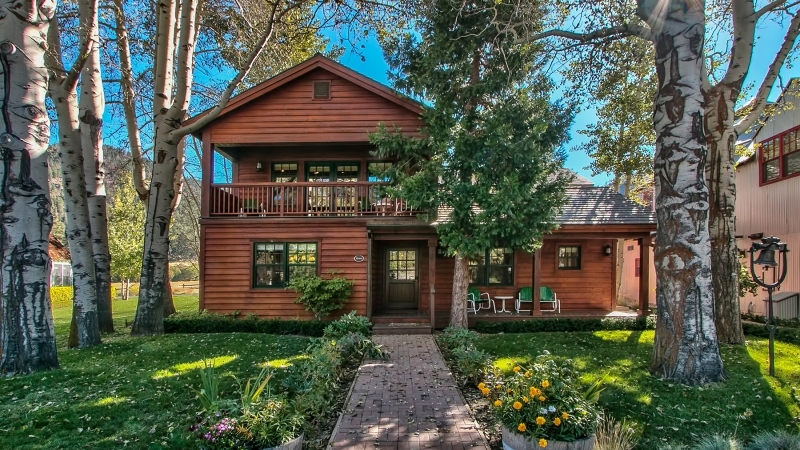 This Cottage-style home with Craftsman details would fit in just about anywhere. 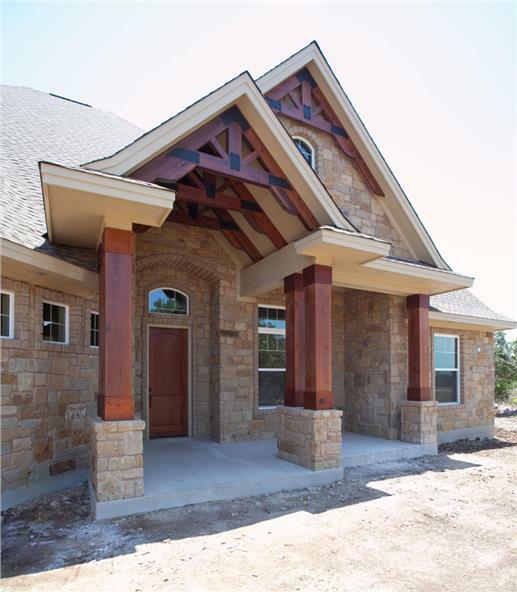 The remarkable craftsmanship marking the entry to the home is striking in almost every way (Plan #117-1103). 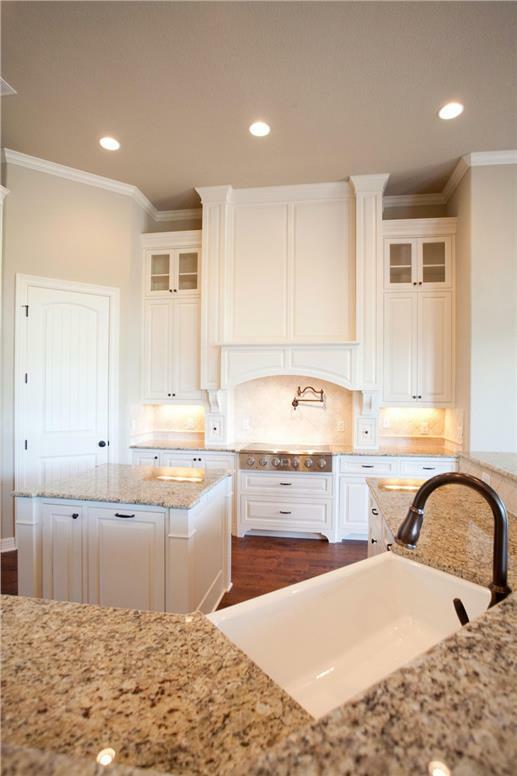 The luxurious open-concept kitchen (left, center) includes granite countertops, custom cabinetry, and top-of-the-line appliances – we especially like the farmhouse sink. 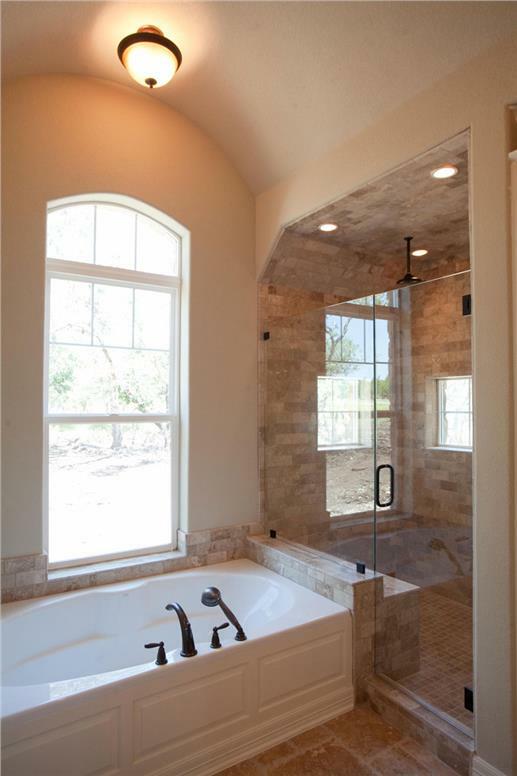 The attention to luxury and details extends to the master bathroom with its soaking tub and walk-in shower (Plan #117-1103). From the exterior, it looks just like any other luxury home. Even its name is unimposing: House No. 1. But don’t be fooled. Remember the real estate mantra – location, location, location. House No. 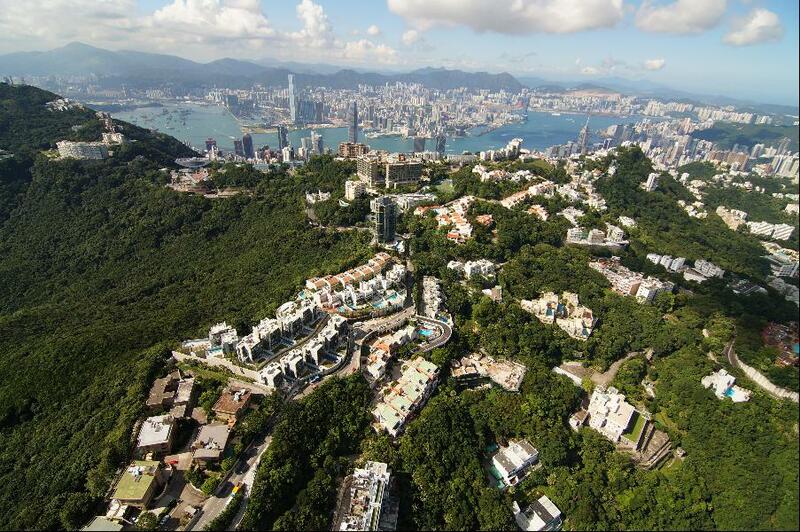 1’s address is Hong Kong’s most exclusive neighborhood: Victoria’s Peak. What do you get for $105.6 million? For starters, House No. 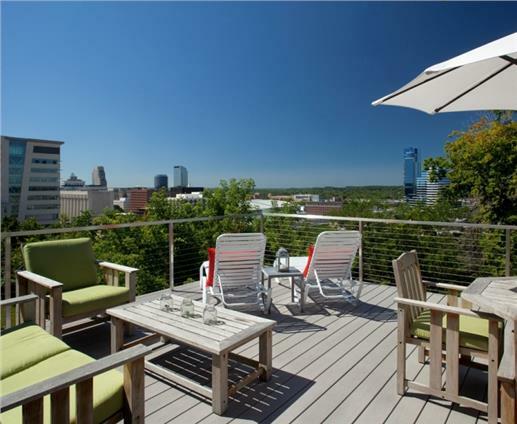 1 is the penthouse in a 12-home complex with close to 5,000 square feet of space. 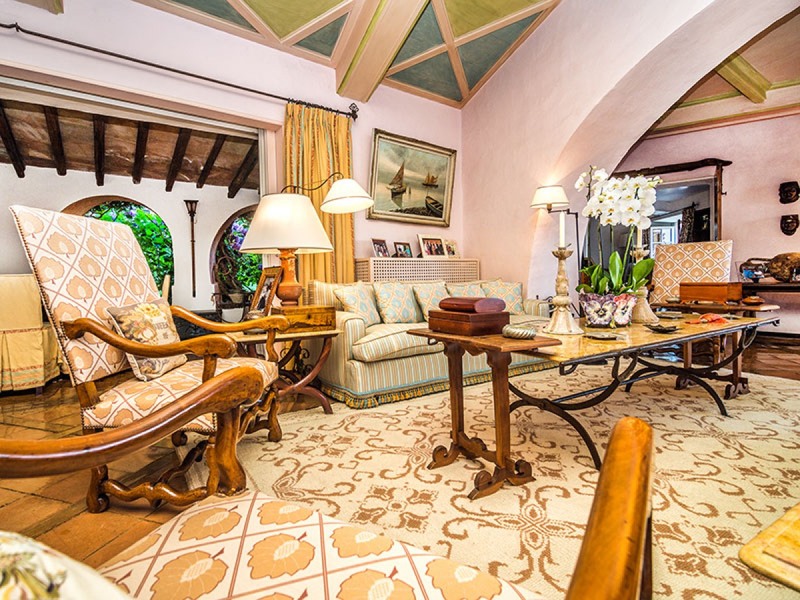 There are four bedrooms, gardens, a terrace, a private pool, and views of Hong Kong harbor. The front driveway (left) of the 12-unit complex is lined with shrubbery and climbing plants that deck the outer walls of the property. Inside this building is the penthouse apartment simply called House No. 1. Hong Kong’s harbor and part of the city (right) are a sight to enjoy from the windows of House No.1. All these big houses with big price tags got us thinking: how would we “go big” if building in Texas? 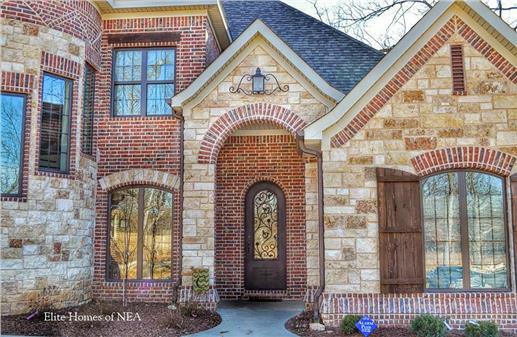 We think this Texas-style, Craftsman home fits the bill. 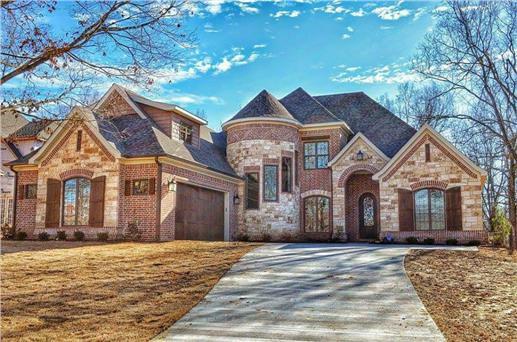 With four bedrooms and 4.5 baths, this home floor plan has almost 5,000 square feet of living space. It combines both the modern and rustic – from the stucco exterior and rustic wood beams to the hip roof and home furnishings. 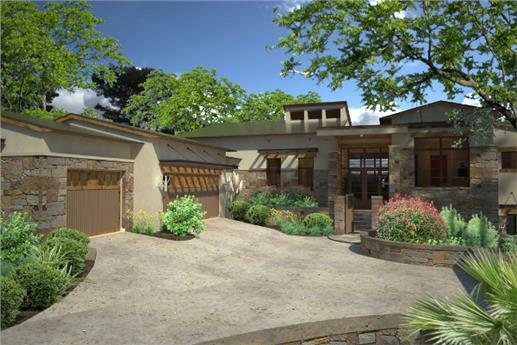 This well-designed Texas-style Craftsman home can be built in any exclusive address in any part of the world and give all these homes a run for their money. A rear view of the home taken at night showcases the Craftsman home’s many charming features: matched glass windows on the main and lower levels, covered patio, balcony, stone columns, and rustic beams (Plan #161-1049). On the main floors are a master suite with a roomy master bathroom, fireplace, and Great Room that includes a kitchen, living room, and dining area that opens into an outdoor patio. A mudroom, guest room, and study are also on the first level. 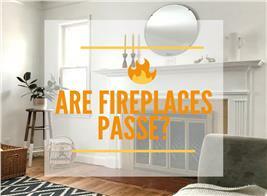 Light up the fireplace; grab a quilt; and curl up on the comfortable sofa in the living room. 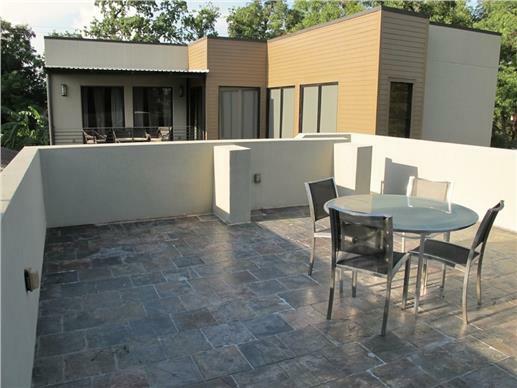 You can watch your favorite television programs … or just look out onto the patio and the grounds (Plan #161-1049). 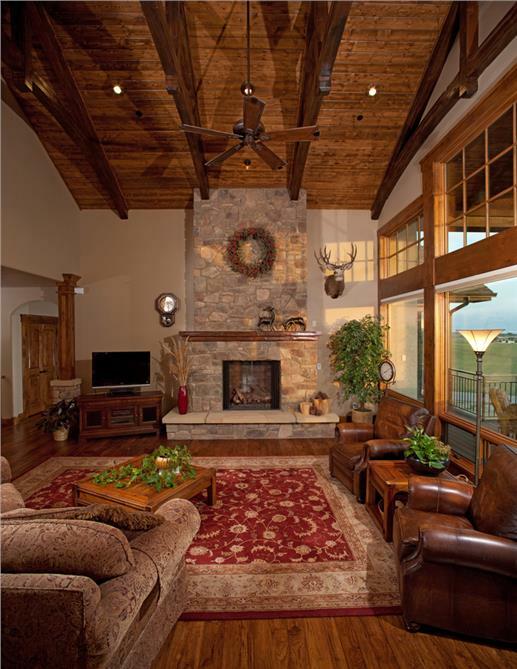 Ever dream of owning property in ski country? 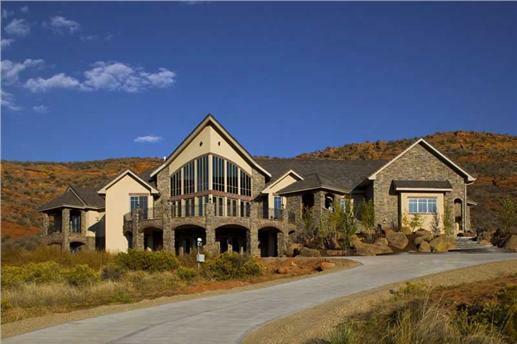 Let’s travel to Nevada for the perfect spot that will cost you about $98 million. 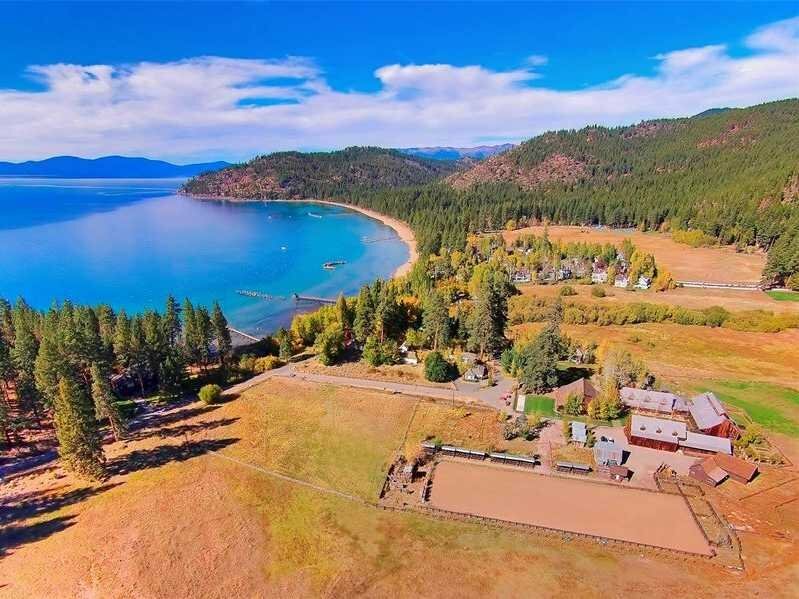 Shakespeare Ranch in all its glory: mountain views, forests, expansive grounds, a brook, and Lake Tahoe in the vicinity make the ranch a sought after property. Today Shakespeare Ranch features seven guest homes and cabins – most of them named after Shakespeare’s works. There is a barn, 15 bedrooms, 16 bathrooms, seven kitchens, a gazebo, and a 400-foot dock. The new owners renovated an old barn built in 1870 and outfitted it with a chef’s kitchen, a wine room, arcade, and stage area. The “Romeo” guest cabin (left) is a rustic structure that comes with a covered front porch and balcony. 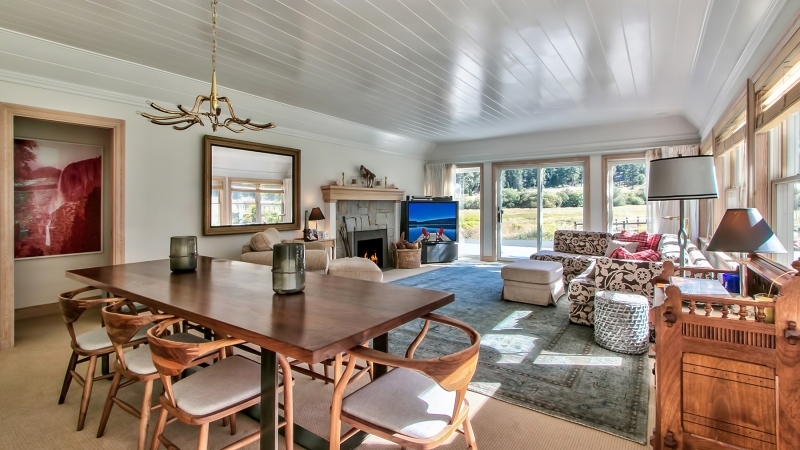 On the right is the living room of one of the guest houses – the open floor design that blends the dining and living areas adds to the room’s appeal and charm. Among other amenities in the rustic environment of Shakespeare Ranch are a pool house with indoor pool and steam spa, outdoor hot tub, gym, art loft, horse stables with paddocks, greenhouse, vegetable gardens – and even rodeo grounds with pens and bleachers! What’s a ranch without horse stables and paddocks? The stables’ bucolic location at the ranch evoke a pastoral feeling worthy of a Shakespeare sonnet. 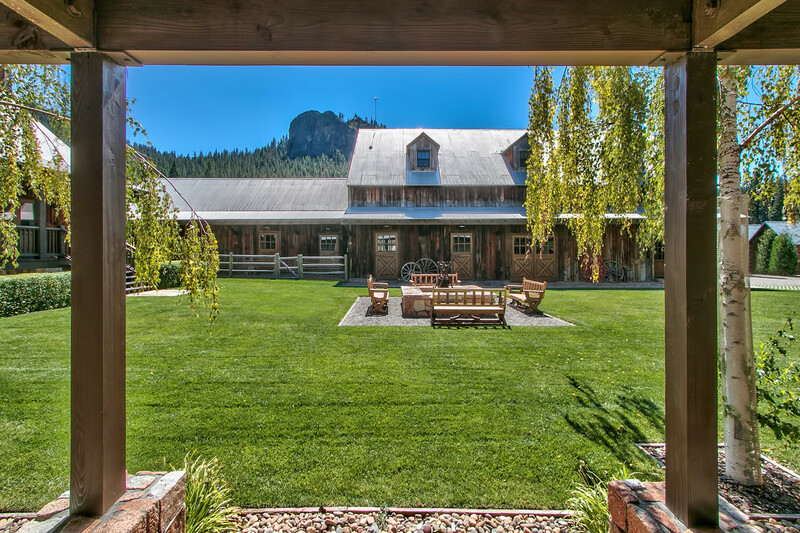 Our answer to Lake Tahoe’s Shakespeare Ranch is this two-story, four-bedroom modern Craftsman-style home with more than 8,000 square feet of living space and tons of possibilities for expansion – perhaps, even a gazebo or a heated indoor pool. 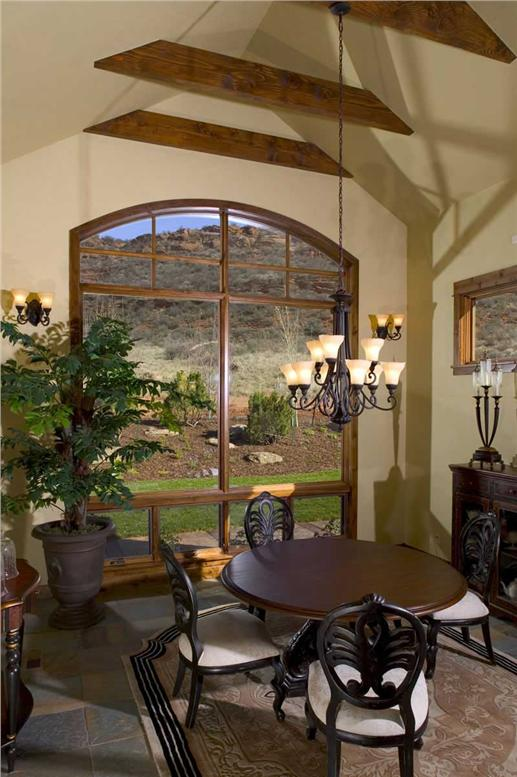 It has mountain views, and lots of room to spread out to take in the home’s natural surroundings. 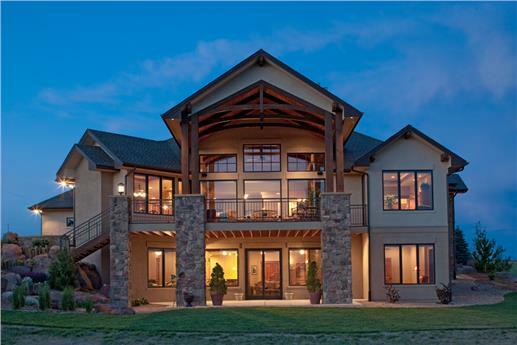 Among the features of this two-story, modern Craftsman home are lots of windows for abundant natural light and views, 10-foot ceilings, and modern fixtures (Plan #161-1021). What’s inside? 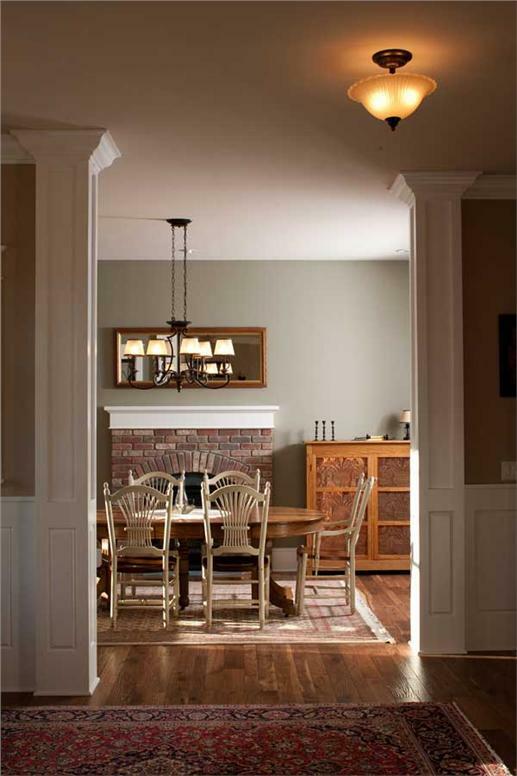 Climb up the steps onto the covered front porch, open the door, and walk through the foyer to the kitchen area and the hearth room. There’s a Great Room that opens to a rear patio, a master suite with a master bathroom, a sitting area, and a private veranda. On the lower level, you can find a guest room, another bedroom, home theater, exercise room, game room, billiards room, and wine cellar. There’s also a bonus room with a deck. 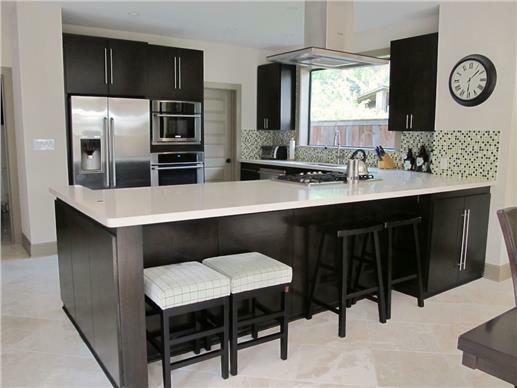 The home plan has a large kitchen (left) with a peninsula-eating bar, kitchen island, lots of cabinets and shelves for storage. 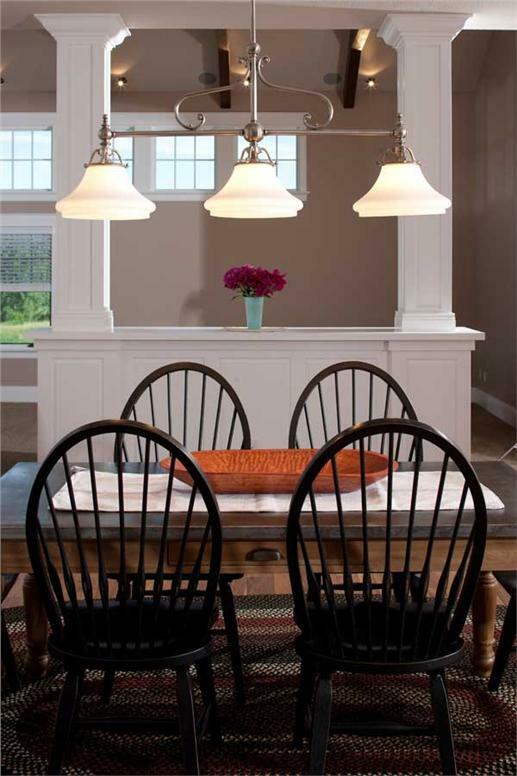 Pick up your plate, and savor your meal and the vista from the breakfast nook (Plan #161-1021). 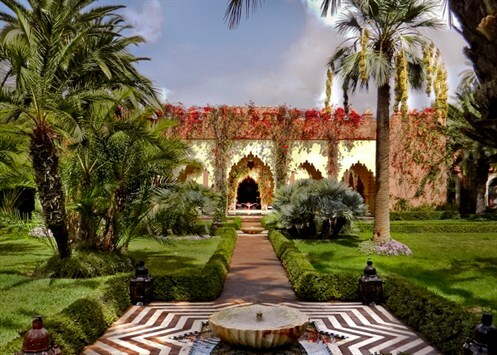 For the “bargain” price of $68 million, you can live in a palatial home sitting on about 12 acres of land in the prestigious Palmeraie section of Marrakech. Inspired by the Alhambra Palace in Spain, a businessman built the House under the Palms for his wife. It took three years and 2,000 craftsmen to work on the intricately designed ceilings and fixtures of the home. Talk about commitment! The House under the Palms is filled with gardens, tall trees, and beautifully landscaped lawns. The house has a total of eight bedrooms, a cottage, offices, staff accommodation, and enormous reception and dining rooms. The exterior is just as luxurious as the interior – with fountains in the courtyard, gardens (rose and cactus), and palm trees lining watered walkways. 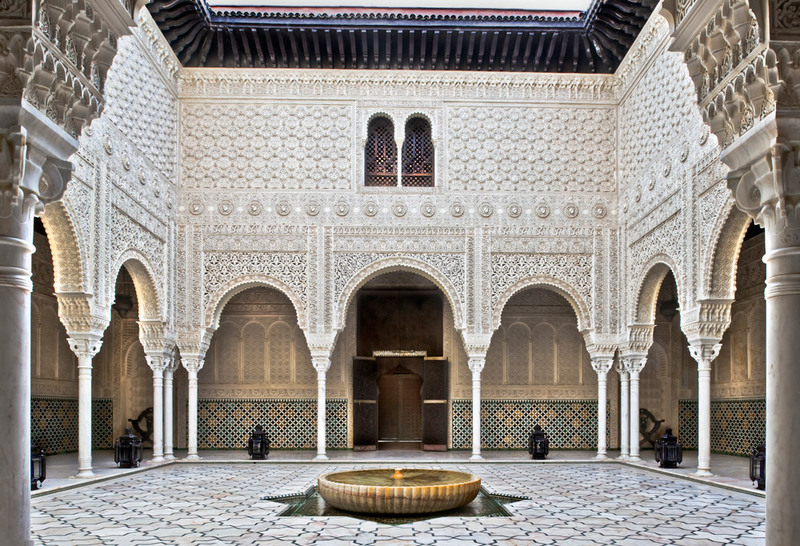 Reminiscent of palaces built in Medieval times, the courtyard (left) of the House under the Palms comes with intricate work on the walls, arches and columns. The reception area (right) features the same detailed designs carved on the walls. When we started looking for a home plan that was both exotic and romantic, we stopped in our tracks when we came across this 3,222 square foot, European-style villa with influences from the coasts of the Mediterranean. 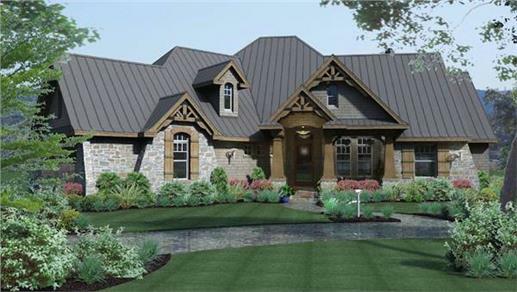 From its striking architectural features to its lush landscaping, we knew this house plan (Plan #142-1133) had it all – and on a much more reasonable budget! This bold house design takes the very best of Old World charm and the luxury of modern living (Plan #142-1133). 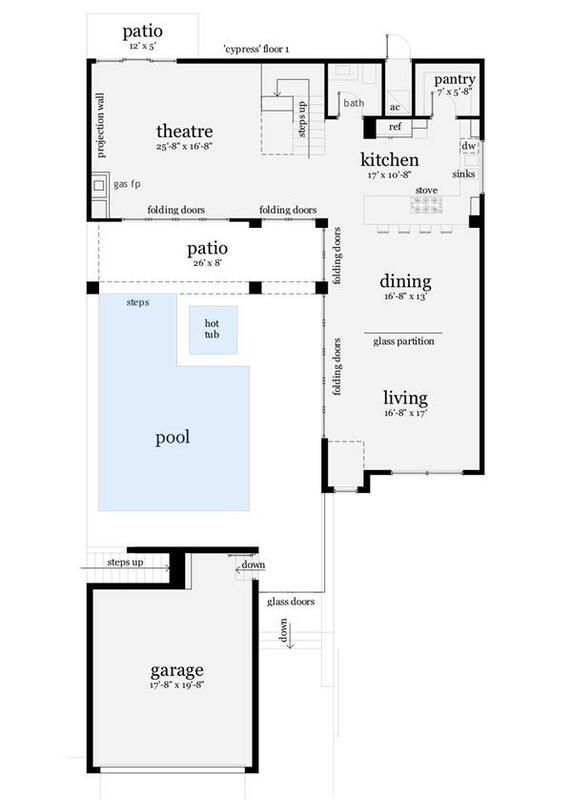 This three-bedroom home floor plan has a unique central hall with 16-foot ceilings. This central hall connects all the rooms of the house, creating a flow that is ideal for entertaining. The master bedroom suite is located at the end of the central hall and behind a set of double doors to create additional privacy. The double-door entry (left) leads to a two-story foyer and central hall (right). We particularly enjoy the turret to the right of the entry doors – inside of which contains the dining room (Plan #142-1133). And without breaking the bank, you can make your dream a reality with the amazing homes on our list! Footnote: The lead (top) image in this article is the intriguing Infinity pool atop the Sky Penthouse of Monaco’s Tour Oden. For more information, please click here.